Metal Backed Urethane – Metal Backed Urethane Parts! Metal Backed Urethane ? You’ve come to the right source! Metal Backed Urethane Sheets: Metal backed urethane sheets are commonly found in replacement parts for assembly lines. Made from high-quality material specified to your requirements, metal backed urethane sheets can be cast up to 4′ foot square pieces. When used in assembly line applications the metal backed urethane sheets will be fastened in ways to act like a bumper or guide to keep product flowing in the right direction. Expanded Metal Backed Urethane: Expanded metal backed urethane is used for many applications due to the low cost per sheet and how easily it is available. Commonly known as an impacted pad expanded metal backed urethane will act much the same with a core for added integrity and strength. Expanded Metal Covered Urethane: Expanded metal covered urethane is used for many applications due to the low cost per sheet and how easily it is available. It is also a great choice when the part needs to be stiff against bending yet still hold all the properties of urethane on the surface. Expanded metal covered urethane is also a great choice when trying to add extra strength to a bonded surface like a metal plate that will be covered in urethane as well. Aluminum Backed Urethane: Aluminum backed urethane is an ideal way to make 100’s of parts from just one aluminum backed urethane sheet. At Plan Tech we have a state of the art facility that can media blast the aluminum plate of any thickness and apply a chemical bonding adhesive that will be as strong as the urethane material. We have the ability to cast up to 4’ x 4’ aluminum backed urethane sheets any thickness with a tolerance of +/-.030. One of our customers for metal backed bars utilizes an aluminum backed urethane bar to crimp a bag closed. Each part is heated in this application and also seals the bag under the extreme force. Sometimes the metal backed “core” will be cut to size the urethane will be molded into the part. Frequently Plan Tech will cast a larger sheet which will yield many parts. We have found using the latest technology from Flow water jet we can easily cut any size or profile metal backed urethane parts with extremely tight tolerances. Each metal core will be processed in our clean room charged with positive air pressure to ensure that foreign contaminants weakening the bonded surface. Each core or plate is de-greased and media blasted before it is coated with a layer or chemical bonding adhesive. We continuously test our bonding urethane to metal process across thousands of parts to destruction ensuring our customers are achieving the best urethane bond to metal possible. Taking these extra steps ensures that the metal backed parts will never delaminate and have an extended life expectancy over similar materials. FDA requirements or no prints is not an issue, we can reverse engineer existing parts and match any requirements needed. Working with the end user allows us to rapidly prototype parts to ensure quality aftermarket metal backed urethane components. In our production facility, we have a Flow Waterjet and Waterjet cut metal backed parts are just one of the many cast urethane services that Plan Tech provides. We utilize a “state of the art” Flow Water jet 4′ x 8′ Integrated Flying Bridge waterjet cutting machine. The dynamic head virtually eliminates the taper normally associated with waterjet cut urethane parts while improving cutting speeds, part accuracy and tolerances in cutting flat stock materials. Metal backed urethane is outstandingly able to withstand more loads than rubber because they are harder than rubber and yet more flexible than plastics. Their flexibility is accountable for their strength and remarkable ability to resist impact. Metal backed urethane is the perfect choice for applications against severe wear regardless of low temperature. For some decades now, they have been the most used materials for environments that are highly abrasive owing to their super ability to resist abrasion. No other form of elastomers, metals, and plastics has a better abrasion resistance than polyurethanes. Their abrasion resistance ability is rated to be 10 times better than what other materials can provide. 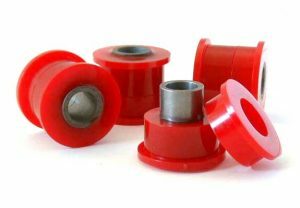 Like their abrasion resistance ability, the properties of metal backed urethane parts are highly capable of resisting oil and chemicals. 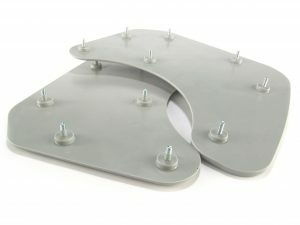 This enables them to maintain stability (with minimal swelling) in water or oil etc. If you are looking for elastomer materials to use in subsea, then polyurethanes should be your ideal choice. 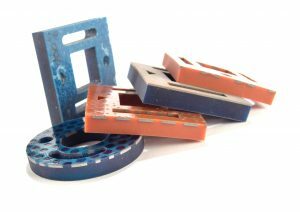 Please Contact us for further details about metal backed urethane parts!